Learn the 3 productivity killers every student needs to avoid and the 3 productivity boosters that can lead to doubling your productivity. You already have the determination to succeed in college or you would not be there, right? But truth be told, as you look to the future it sometime causes a bit of anxiety. The future certainly does portend great potential if you can take advantage of all that is offered, but it needs to be done wisely, because there are more choices than there is availability of your time. Having taught thousands of students over many years, there are some things I have noticed that successful students do as a matter of course that the less successful students do. And then, over the last few years, I have taken courses and studied some of the real leaders in productivity. The same thing is true: what separates productive people from those who are not is a consistent set of principles. There is much more available that I was able to pack into this small eBook. One of the courses was 9 weeks, several hours a week – a full semester load. I have tried to capture some of the highlights in this free eBook for you to start. There will be more coming if you sign up to get the free eBook. Use this short guide to implement some simple but powerful time tested and proven principles to further boost your productivity from whatever level it is today. You will never regret the small effort to do it and you will be forever grateful for the benefits of having done so. 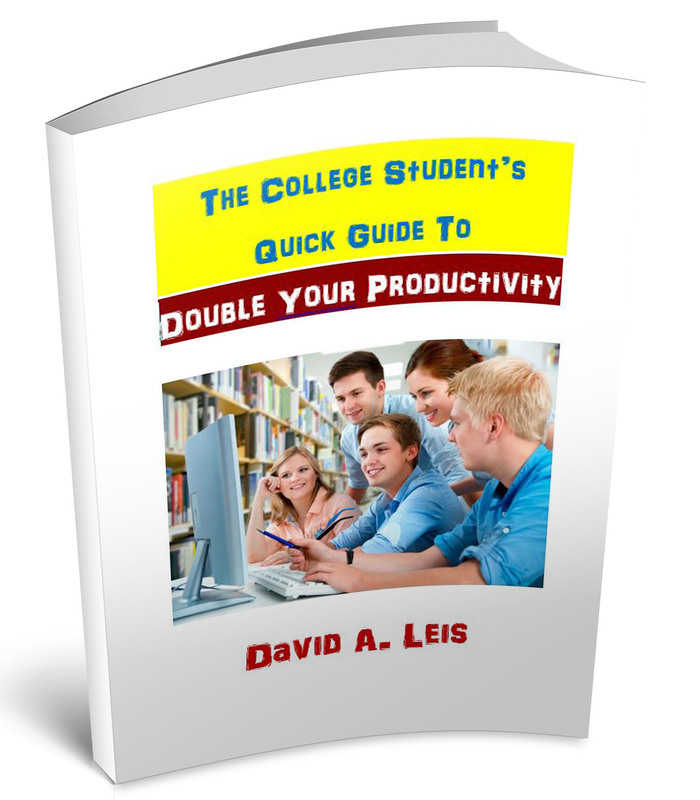 Get your free eBook to get the productivity results you want for college and career.